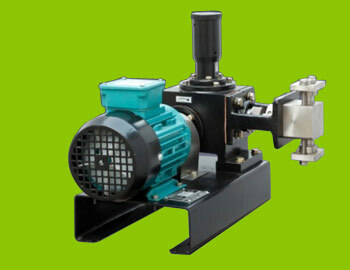 Tro dosing pump is widely demanded in different industries for providing excellent solution of dosing of fluids. These are engineered with advance components which ensure its efficient performance and longer service life. Robustly constructed these pumps are widely used in various industries including petrochemical, paper, food, oil and gas and many others. These are very easy to install and ensure less noise. 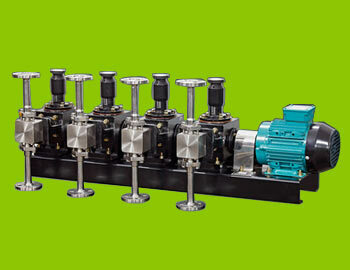 These pumps are available with simplex, duplex or multiple heads which ensure easy handling of different chemicals. Mill sanitation dosing pump is available to our customers with the option of simplex, duplex and multiplex heads. This helps in easy conveying of chemicals with the assistance of a common motor. The ergonomic design of this pump saves power and offer consistent performance. Moreover, each head independently get attached independently and can be modified autonomously. Ensuring power efficiency and consistent performance, Mill Sanitation Dosing Pump is widely appreciated among different industries. Therefore, this pump minimizes the level of sucrose and keeps mill free from bacteria.